Beijing wants “positive voices” from India in favour of its efforts to counter the challenge thrown up by US President Donald Trump. The biggest challenge facing China is Trump’s campaign to bridge the $350-billion trade deficit against the US by imposing a series of heavy duties on Chinese exports. Beijing has tried to hit back with its own taxes but it is apparent that China has a lot more to lose because it is the bigger seller of goods. Supreme Court reserves verdict on 498A plea. The Supreme Court on Monday reserved its verdict on petitions seeking restoration of the stringency of Section 498A of IPC. Appearing for petitioners, senior advocates Indu Malhotra and Indira Jaising faulted the SC’s July 27, 2017, judgment by a two-judge bench in diluting the arrest provision. A bench of Chief Justice Dipak Misra and Justices A M Khanwilkar and D Y Chandrachud said it agreed with the petitioners’ plea. They say that the two-judge bench’s decision to dilute the stringency of Section 498A. AFSPA removed from Meghalaya after 27 years. The Centre has withdrawn the Armed Forces Special Powers Act (AFSPA) totally from Meghalaya. FSPA, which gives special powers and immunity to the armed forces had been in force in Meghalaya and Arunachal Pradesh for almost 27 years. In 2015, the Tripura government had lifted AFSPA from the state after 18 years. Until September 30, 2017, all areas falling within a 20-km belt in Meghalaya bordering Assam were notified as “disturbed” areas. However, on March 31, 2018, it was decided that given the improved situation, AFSPA need no longer be in force even in this 10-km stretch. Sushma Swaraj meets Xi Jinping ahead of Wuhan summit. Sushma Swaraj called on Chinese President Xi Jinping regarding the boost of the development of the Shanghai Cooperation Organisation (SCO). China regards boosting the development of the Shanghai Cooperation Organisation as one of its diplomatic priorities. Swaraj and her Chinese counterpart Wang Yi yesterday announced that Modi and Xi will meet in the central Chinese city of Wuhan on April 27-28 to improve bilateral relations. PM Modi to visit Nepal on May 11. Modi’s trip comes just a month after his Nepali counterpart K.P. Sharma Oli visited India. Latest International Current Affairs April 24 Updates from around the globe. Armenian PM Serzh Sargsyan resigns in face of protests. 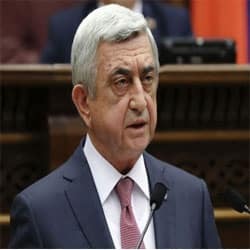 Armenian Prime Minister Serzh Sargsyan resigned unexpectedly on Monday, an apparent move to bring to an end massive anti-government protests. The surprise move, announced on his website, followed 10 days of protests in the capital, Yerevan. Critics saw the move as an attempt to stay in power by Sargsyan, who served as president from 2008 until term limits forced him out in March. Thousands of anti-government protesters have been rallying on the streets of Yerevan since April 13, and Sunday’s rally attracted some 50,000 demonstrators. China’s first home-built carrier looks set to start sea trials. China first domestically developed aircraft carrier looks set to begin sea trials after pictures appeared on the Chinese internet on Monday. Pictures of the carrier have been widely leaked on the Chinese internet, with little apparent concern from the government. Uzbekistan to join Turkmenistan-India $8 billion gas pipeline project. Uzbekistan plans to join an $8 billion project to build a natural gas pipeline from Turkmenistan to India. Turkmenistan, which sits on the world’s fourth-biggest gas reserves and borders Afghanistan, started laying the Afghan section of the pipeline this year. Check out the latest trending business Current Affairs April 24 updates by reading the news. Wikipedia launches page previews for its English web pages. Wikipedia has deployed a new “page previews” feature for its English web pages to help users get a peek of the information behind a link without clicking on it. The goal of “page previews” was to decrease the cost of exploration for each blue link users come across, “allowing readers to satisfy their curiosity. The feature would decrease the efforts of going back and forth between articles, allowing readers to decide if the information on that link is what they needed or not. TCS becomes first Indian company to reach $100 billion market capitalization. Tata Consultancy Services became the first Indian company to reach the $100 billion market capitalisation (m-cap) mark. The shares of the IT behemoth were trading 4 percent above previous closing mark at Rs 3,545 on the BSE at 10.30 am. The rise in the TCS scrip’s fortune came after it posted a rise of 4.5 percent in its Q4 net profit. Govt replaces Gopal Singh as Coal India chief with Suresh Kumar. The Appointments Committee of the Cabinet has removed Gopal Singh from the position of Acting Chairman of Coal India Ltd.
Suresh Kumar, Additional Secretary of Coal, has been handed the charge of handling the responsibility on a temporary basis. Singh, CMD of Central Coalfields, was earlier given additional charge as CIL Chairman in September. His tenure was recently extended till May. Walmart close to $12 billion deal for a majority stake in Flipkart. Walmart Inc. is close to finalizing a deal to buy a majority stake in India’s leading e-commerce company for at least $12 billion. 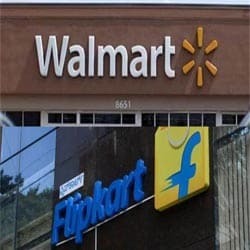 All the major investors in Flipkart Online Services Pvt are now on board with the Walmart purchase, after an earlier debate over an Amazon.com Inc.
Tiger Global Management will sell nearly all its 20 percent stake in Flipkart, while SoftBank Group Corp.
Current Affairs April 24 is bringing you with Records, titles and other updates from the world of sports. Five Indian women boxers enter Asian Youth Championship semis. Five Indian women boxers assured themselves of medals, two of them also inching closer to qualifying for this year’s Youth Olympic Games in Argentina. Anamika (51kg) and Astha Pahwa (75kg) were assured of medals and remained in the hunt for booking a berth to the Argentine capital of Buenos Aires. While Anamika defeated Mongolia’s Mungunsaran Balsan, Astha Pahwa got the better of China’s Xiyue Wang. Velavan Senthilkumar wins maiden PSA World Tour title. Velavan, who is pursuing a course in statistics at Columbia University in New York, defeated fourth seed Tristan Eysele of South Africa in the final of the Madison Open. He is currently being coached by England’s Alister Walker, a former world No. 12, aside from his coaches in Columbia. Rashid Khan, Tamim Iqbal, Shakib Al Hasan to play for World XI vs West Indies at Lord’s. Rashid Khan of Afghanistan along with Bangladesh stars Shakib Al Hasan and Tamim Iqbal have confirmed their participation for the ICC World XI. It will take on the West Indies in a charity T20 game at Lord’s on May 31. The match is being organised to raise funds for stadia in the Caribbean. Candidates hoping to get Government Jobs can get more details about the Current updates from above links. You can read some latest Current Affairs, and attempt Current Affairs Quiz which helps you to crack various Competitive Exams. Make use of our Current Affairs April 24 and current affairs India 2018 for better scoring in exams. Users will be benefited with the free month wise Current Affairs PDF and Updates available for download. The Free Quizzes & GK Questions available in this Affairs Section will benefit all the career hopefuls to get their desired Sarkari Naukri. This current affairs daily page is well created by the dedicated team members of recruitment.guru. Make use of Current Affairs April 24.